So today I went to the post office after school and picked up two packages. 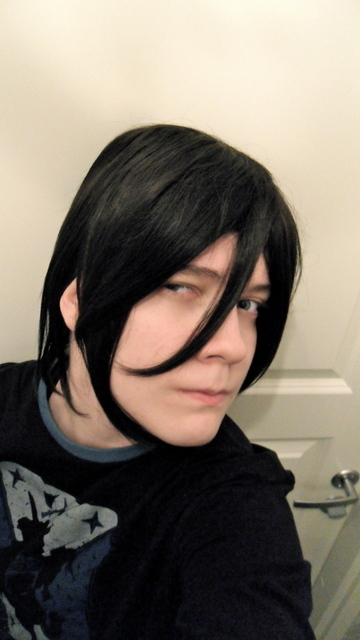 It was a white juban and a new wig I will use for season 2 (aka short hair version) Hijikata from Hakuouki. Funny thing is I was searching for a Hijikata specific wig but didn't find anything I thought looked just right so I wondered "what other characters have a similar hairstyle as Hijikata?" 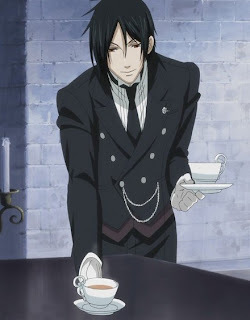 and BOOM instantly Sebastian Michaelis from Kuroshitsuji popped into my mind. 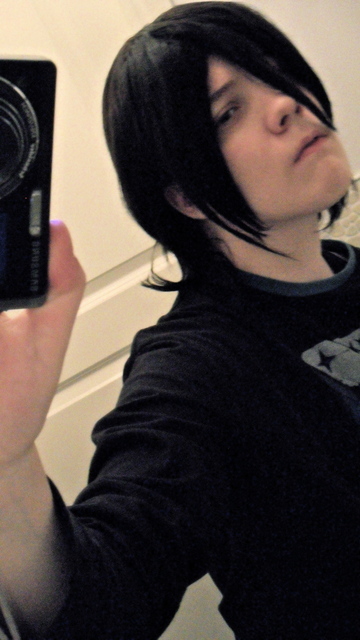 I tried the wig on quickly (read: no cosplay make-up) after I got home. At first I was all "not sure if gusta" but after I arranged the fibers around a bit it was rather awesome. 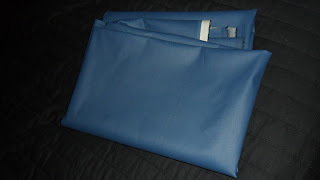 I also went to Eurokangas with mom before getting home and she bought me some fabric for Sengoku Basara's Masamune Date cosplay. I will use this fabric for the coat and pants. The fabric is some kind of denim with 5% elastane and it has this.. interesting touch to the surface; a bit like it would have a thin coat of some kind of plastic on it. It is also a bit heavier and drapes rather well. 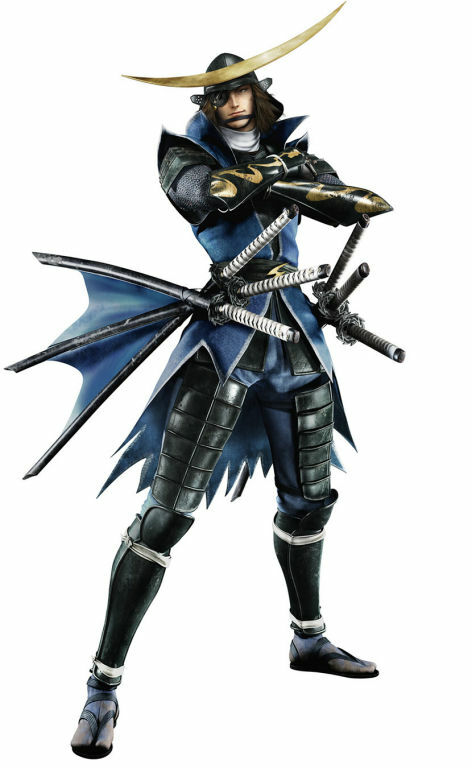 I think it will be great for Masamune's coat especially. 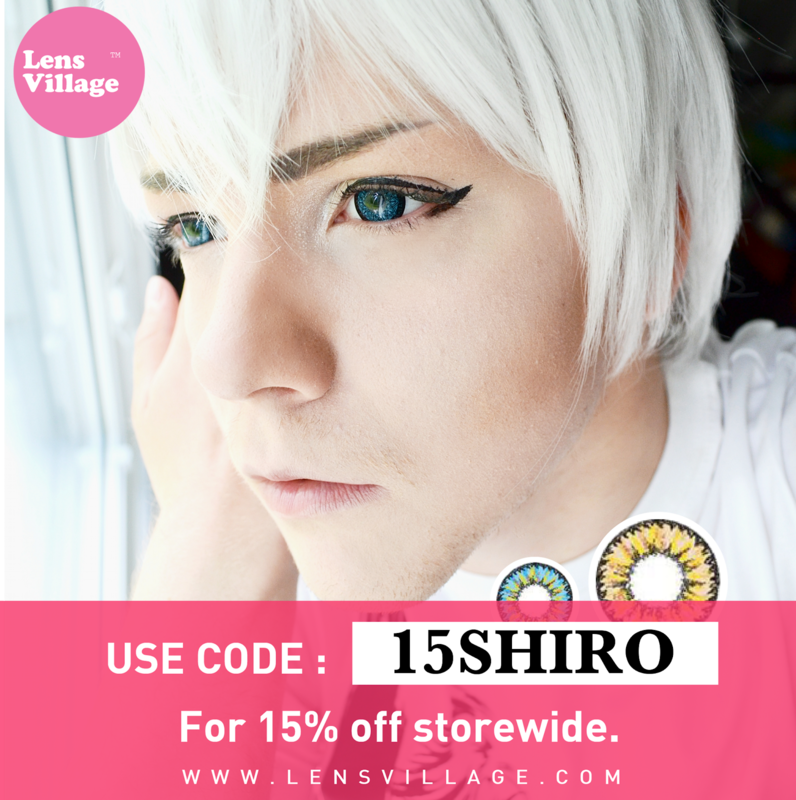 I just really need to start working on this cosplay for real; it needs to be done and documented before next summer vacation I'm going to die. If you remember it was a school project so it's really important I get this done in time before I graduate. Onnea vaan Masamunen cossin kans! Älä kuole kuitenkaan xD Kyll sie selviät, olen varma siitä. Also if do Sebastian can cospaly him in sweden also please? It feels quite different from other fabrics.. but I like it. Yes of course I could. I know you like Kuroshitsuji so if nothing else I will do it just for you. XD Also possible group cosplay..? It seem like it would do that on th apic but i like what i see off it. Yay na XD Also don´t forgett Angie, she has her Soma coss so I think she would like to join in I think. OMG i NEVER thought you would like even watch that anime..cuz its doesnt seem really your style or type of anime if you know what I mean xD;; unless you do like victorian era right? ..but acutally as a big fan of Black BUTLER i think you would make a great Sebby-chan. 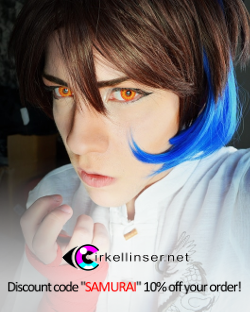 o3o (Sorry he is called so by Grell-his-so-called-fangirl/boyish. 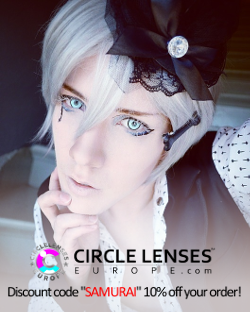 XD;;) Love to see you as him someday or any other black butler chara if that's possible! 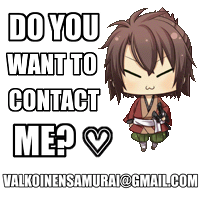 :3 And Masamune,haha well good luck with that. I've always had a slight interest towards Kuroshitsuji but never really told anyone about it. Mostly because the clothing is quite cool and it feels like there's just this dark-ish aura to the show. (I know he's called Sebby lol) We'll see what happens. Need to watch it first. Thank you but I'm reallly not fond at all of those tag things.. sorry. The wig looks great! Very good thinking in choosing a similar hairstyle character wig. Multi-use wigs are always a plus!